FOR English Premier League fans the Christmas period is the perfect set of dates for watching the beautiful game. A plethora of fixtures that happen on weekends and during the week means punters get plenty of opportunity to bet on the soccer. This weekend shapes as an important one for several teams. 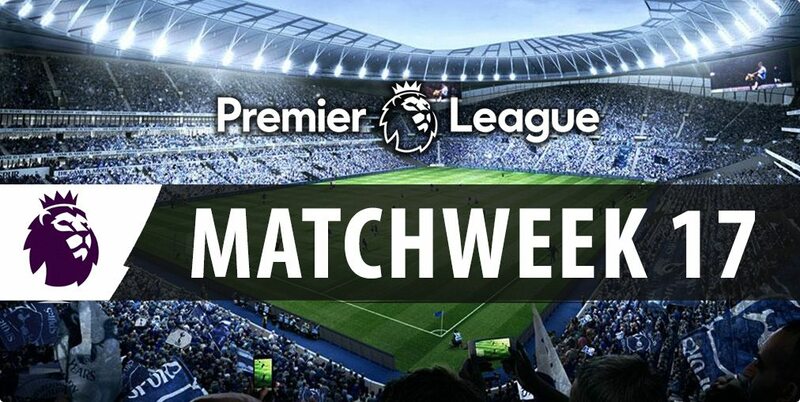 Arsenal and Manchester City meet in a clash that could rule the loser out of title contention, fifth-placed Tottenham face a home game against strugglers Burnley, while Chelsea face a tricky away fixture against the Eagles. It has all the makings of a great weekend of Premier League action. All odds for the 17th week of the English Premier League season were provided by Sportsbet.com.au, which is offering punters a fantastic carrot for those yet to sign up. New customers can get their first bet at Sportsbet matched up to the value of $501. First leg of the multi kicks off in the English capital as fellow Londoners Chelsea and Crystal Palace lock horns at Selhurst Park. Chelsea moved six points clear at the top of the Premier League after their important 1-0 win over Sunderland during the week. The Blues keep winning and look to be getting stronger as the season progresses. Crystal Palace is without a win from their last two outings after falling to Manchester United at home on Wednesday. The Eagles were outgunned by the Red Devils’ big guns in Zlatan Ibrahimović and Paul Pogba. This one looks pretty clear cut to us. Chelsea should hammer the Eagles to get our multi off on the right foot. We are staying in London for the second leg of our multi as the Hammers host Hull at the Olympic Stadium. After an ordinary start to the season West Ham’s season is back on track. The Hammers drew 2-2 on the weekend against Liverpool before recording a well-earned three points against Burnley midweek. Hull’s season started brightly but the optimistic light has since dulled down. The Tigers were easily accounted for by Tottenham midweek 3-0. It is the second week in a row that Hull has conceded three goals in a match. Both teams fortunes have changed dramatically since the beginning of the season and we are confident the form holds up. West Ham should beat Hull to keep our multi rolling. Two teams in dire need of a win to keep their title hopes alive meet in the early hours of Monday morning as Arsenal travels to Manchester to face City at the Etihad. After a shock defeat away at Leicester, City bounced back in style against Watford midweek – winning 2-0. The win kept City three points clear of the fifth placed Spurs. Arsenal’s midweek loss to Everton was nothing short of disastrous. It was the typical Gunners performance that has frustrated fans for so long under Arsene Wenger’s reign. City is still without a host of stars for this one including Sergio Aguero, so we are favouring the double chance for Arsenal who should be able to salvage at least a point from this one. Last leg of our multi sees the Premier League returning to the English capital as the Spurs host the Clarets. Tottenham was magnificent midweek against Hull. Spurs scored three goals and kept a clean sheet for the just the second time in almost two months. Burnley were unlucky losers last time out against West Ham going down 1-0. The Claret keeper Tom Heaton managed to save a penalty in the game but it was not enough to earn them a point away. We are predicting a similar outcome here. The Spurs should easily defeat Burnley to end our multi in winning fashion. The Premier League is hitting the peak hour in terms of fixture dates across the Christmas and New Year period which means punters have plenty of opportunities to put together multis. A multitude of parlays means getting that multi insurance has never been more important, and Sportsbet.com.au has the perfect deal for you. Sportsbet multi insurance deal extends to all the top-tier competitions including the English Premier League, so punters will be able to unload on a multi knowing if one leg fails they will not be out of pocket. Place a four or more legged multi result bet on any international soccer competition this weekend and you miss out by one leg you get your stake back up to $50. Rather place a correct score bet this weekend? Sportsbet has you covered. Place a bet on the correct score market on the top-four shaping battle between Manchester City and Arsenal, and if your team wins but you do not nail the score you will get your cash back up to $50. Crownbet.com.au is running a multi insurance promotion this weekend which extends to all the big competitions. Place a four or more legged multi this weekend on the Premier League or any other big competition at Crownbet and if your parlay goes down by one leg you will get cash back in the form of bonus bets up to the value of $50.